Go to the web sign up form. Enter an email address, username, and password. 3. 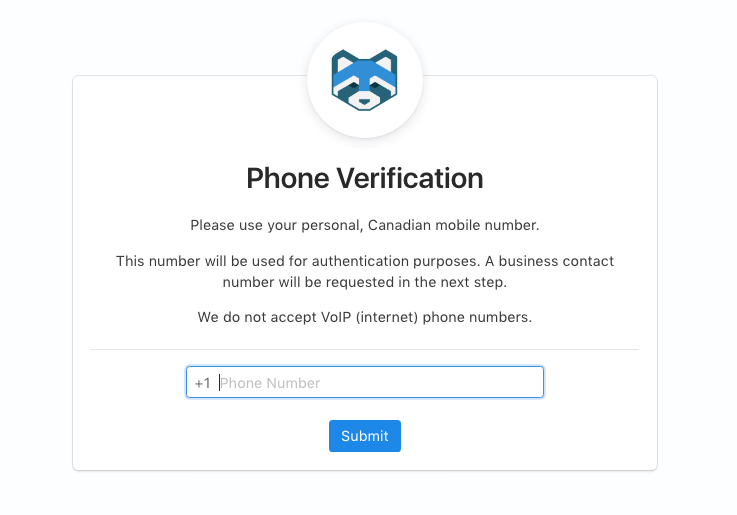 Enter a Canadian mobile number. 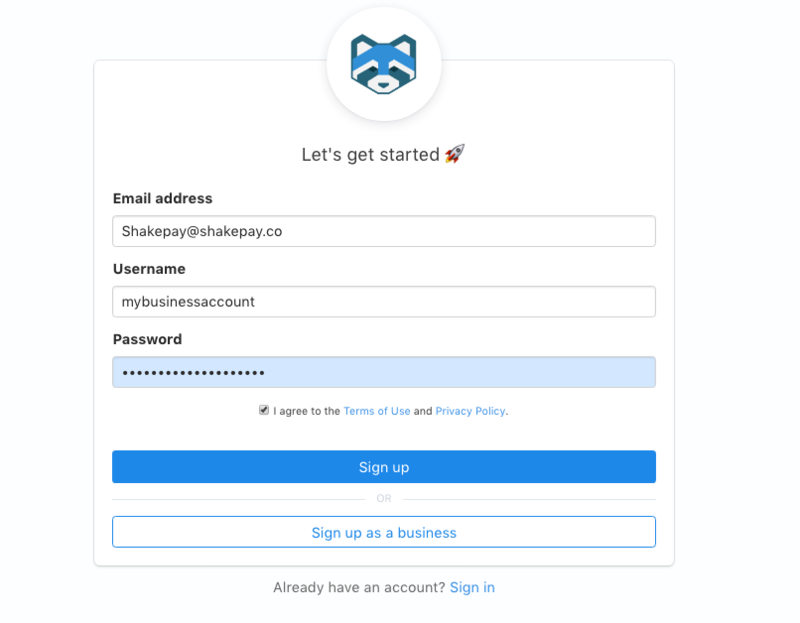 This number is used for authenticating your Shakepay account via two-factor authentication and does not have to be the business contact number. We'll be asking for a contact number in the following step. 4. Enter company information. If you are registered with FINTRAC or the AMF, let us know by checking the box. If you don't know what this is, it's likely that you should keep it unchecked. 5. Upload your organization documents following the instructions on the page. More information about business documents can be found here. 6. Shakepay will review your application within 1 business day.